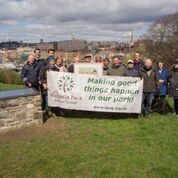 The Panorama showcasing the skyline of Bristol from Victoria Park unveiled last month. 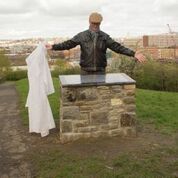 Alf Havvock who how worked tirelessly for the community of Windmill Hill was the guest of honour unveiling the panorama. Check it out in Victoria Park next to St Mary Redcliffe Primary School.